WHY BEE LUSCIOUS LIPS IS BENEFICIAL COMPARED TO LIP PLUMPER’S? WITH OTHER LIP PLUMPER’S YOU HAVE IRRITATION FROM THE INGREDIENTS WHICH REDDEN AND SWELL THE LIP’S DELICATE TISSUE, YET TEMPORARY, IT CAN BE UNCOMFORTABLE, OF COURSE WITH NO LONG TERM RESULTS. WHAT DO THE BEE LUSCIOUS INGREDIENTS DO FOR MY LIPS? USING A NATURAL BLEND OF INGREDIENTS DESIGNED TO PLUMP, CONTROL MOISTURE LOSS, AND CALM IRRITATION, WILL GIVE YOU BACK THOSE LUSCIOUS LIPS YOU ONCE HAD. THESE INGREDIENTS HUG YOUR LIPS COMFORTABLY AND WILL LAST ON THE LIPS GIVING YOU A LONGER LASTING PROTECTION. THIS IS A GREAT TREATMENT AND CONDITIONER TO BE USED AFTER LIP INJECTIONS TO MAINTAIN A SMOOTH AND MOIST PLUMP LIP. WHAT ARE THE BENEFICIAL INGREDIENTS IN BEE LUSCIOUS LIPS? THE BENEFICIAL LIST OF INGREDIENTS ARE; BEES WAX, ALOE JUICE EXTRACT, PEPTIDES, JOJOBA ESTERS, SHEA BUTTER, OLIVE FRUIT OIL, CERAMIDE 3, APPLY STEM CELL CULTURE, COCONUT OIL, AND VITAMIN E. ALL BENEFICIAL INGREDIENTS THAT WILL GIVE YOUR LIPS A TREATMENT LIKE NONE OTHER WHEN USED EVERY DAY. HOW IS THIS FORMULA DIFFERENT THAN OTHER LIP PRODUCTS? AFTER MULTIPLE TRIAL CUSTOMIZING FORMULATIONS THIS LIP TREATMENT IS THE BEST. THIS FORMULA IS A LIGHT CRÈME THAT FITS ON THE LIPS LIKE A GLOVE. TIP: USE BEFORE APPLYING YOUR LIPSTICK FOR A LAYER OF MOISTURE AND TO PROTECT FROM DRYING, PEELING AND CRACKING. 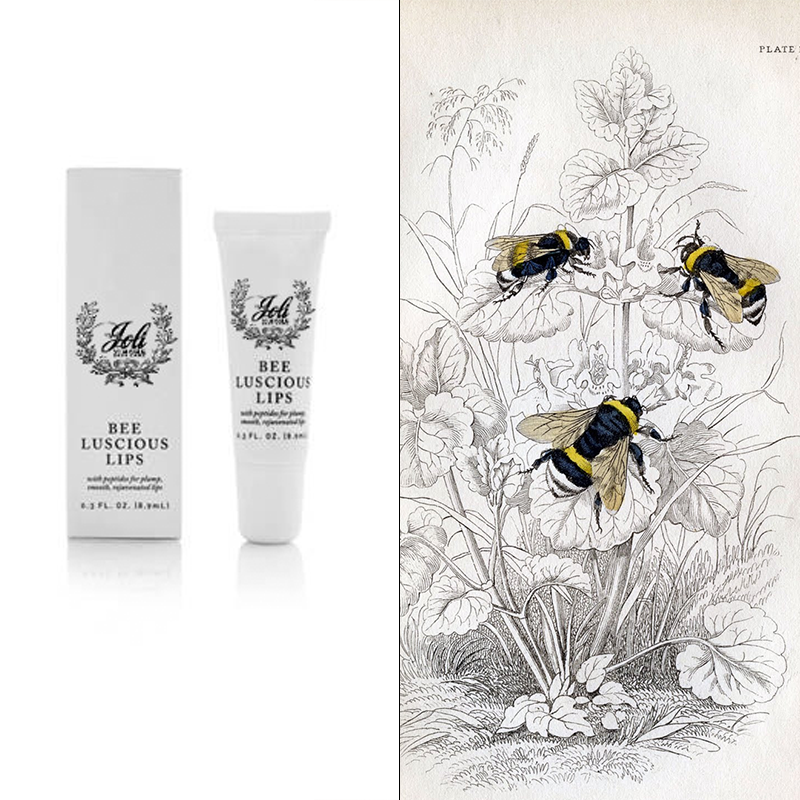 WHAT COMPANION PRODUCTS CAN BE USED WITH BEE LUSCIOUS LIP CRÈME? AS WE AGE THE STRUCTURE OF THE PHILTRA COLUMNS “CUPID’S BOW”, THE TWO PARALLEL LINES OF TISSUE BETWEEN YOUR NOSE AND UPPER LIP THAT GIVE THE UPPER LIP ITS DISTINCTIVE “M” LIKE SHAPE WILL LOSE ITS SHAPE. ALSO THE LINES ABOVE THE LIP AND THE STRUCTURE OF THE OUTER ENDS OF THE LIPS WILL SHOW SIGNS OF FINE LINES. TO ADDRESS THESE AREAS APPLY THE RAPID RESPONSE LINE FILLER ALL OVER UPPER LIP AND LOWER LIP AREA, THEN APPLY THE BEE LUSCIOUS LIP CREME FOR A FULL PLUMPING EFFECT. CUTICLES CAN ALSO BENEFIT FROM THIS FORMULA! DRY AND CRACKING CUTICLES CAN BENEFIT FROM THIS FORMULA. SIMPLY APPLY TO EACH CUTICLE EVERY DAY OR AFTER ANY MANICURE OR PEDICURE TO SOFTEN AND HYDRATE DRY CRACKING CUTICLES! THIS FORMULA IS ALSO A GREAT TREATMENT FOR CUTICLES TO PREVENT CRACKING AND SPLITTING. Kelly put the Luscious Lip on after my microdermabrasion. I immediately saw fuller more smooth lips!